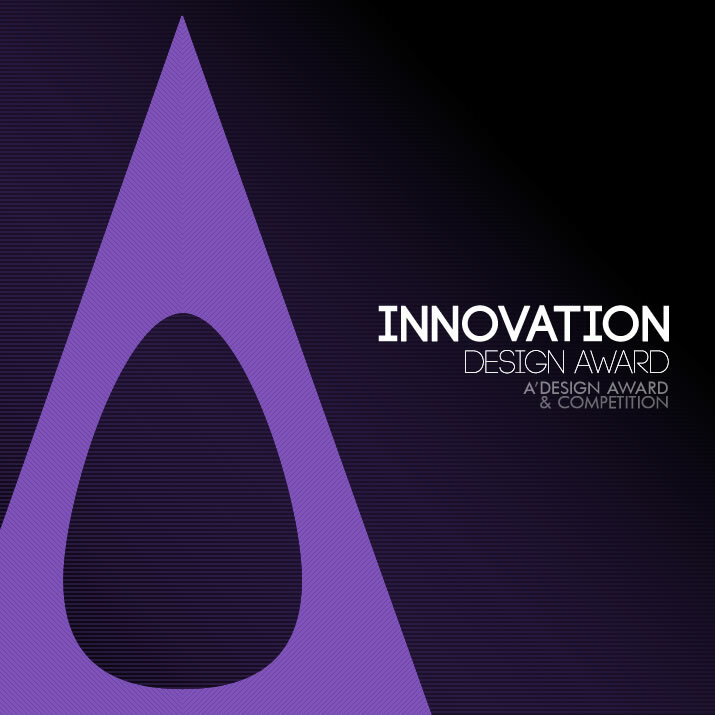 The A' Radical Innovation and New Technologies Design Award is a special design competition open to highly innovative concept stage and realized projects by Entrepreneurs, institutions, organizations, designers and businesses worldwide. 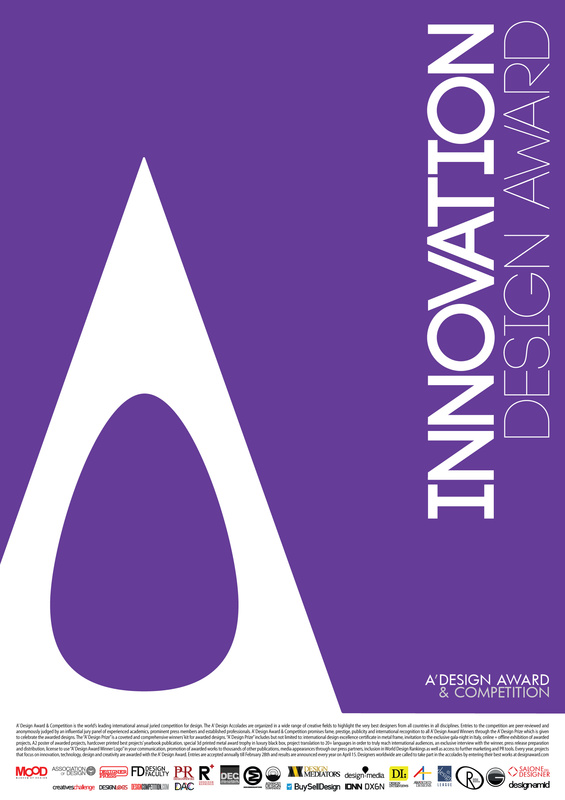 This category is open for submissions of highly innovative designs which usually define new product or service categories. The A' Design Award for Radical Innovation and New Technologies is not just an award, it is the indicator of quality and perfection in design, the award is recognized worldwide and takes the attention of design oriented companies, professionals and interest groups. 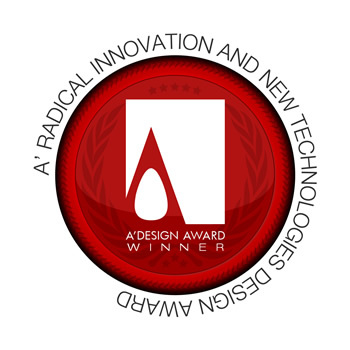 The winners of the A' Radical Innovation and New Technologies Design Award are provided extensive and exclusive marketing and communication services to promote the success of winning the A' Award. Furthermore, the winning designs appear on the A' best designs book which is available worldwide, this book is furthermore distributed to the high-profile magazine editors, design oriented companies and relevant parties. The winning designs are also exhibited at our exhibition in Italy, and the best designs will be picked for the permanent exhibition. The winners appear on magazines, newspapers, webzines and many other publishing mediums. For concept stage projects, the A' Award is an early indicator of success.For realized designs, having the A' Award gives added value to your products and separates them from the rest of commoditized goods, it is an excuse to communicate your product to the media, a reason for press releases. When submitting to the Radical Innovation and New Technologies Design Competition keep in mind that your submission will be evaluated on multiple dimensions, your design is judged together with its design and planned execution, sustainability, eco-friendlyness, choice of materials, degree of technological innovation etc, however the most weight is given to the expected paradigm change resulting from the product. Applicants should send high-resolution images of the design, together with a presentation. The best designs are considered for their degree of innovation, human factors, ease of implementation and realization, depthness of development, and overall paradigm shift. Depending on the type of entry, there will be different criteria for award consideration. The aim of the Radical Innovation and New Technologies Award is to attract the attention of innovation media, design magazines, and industry leads to your business by means of creating publicity and dissemination and also to separate you from the rest of the actors in the design sector by honoring your institution with a prestigious award. Award winners will be able to use a title that matches their nomination category: Such as "Innovation Design Award Winner". Main Image* 3600 x 3600 pixels JPEG High-Resolution clear shot or rendering, showing the product in a preferably white background, for services and projects, illustration or the logo or visual presentation. Optional Image #1 1800 x 1800 pixels JPEG A Shot or rendering of the work with a composition of several products, showing color or configuration options. For services and projects, further illustrations or visual presentation. Optional Image #2 1800 x 1800 pixels JPEG A Shot or rendering showing a detailed view of the product or focusing on a unique feature, explosion, layered or sectional views if required. For services and projects, additional images, photography or illustrations. Optional Image #3 1800 x 1800 pixels JPEG Showing the work in a setting where the design is utilized (such as an interior space or outdoors depending on product type). For services and projects, visualization of interaction through conceptual drawings or illustrations. Optional Image #4 1800 x 1800 pixels JPEG An action shot, where a user interacts with the design in the designated site where the product would be used. For services and projects, a visual presentation. Documentation Max. 40 x A4 Pages PDF Explaining why your product is higher quality, how it is more innovative, or how it is more efficient and unique when compared to other products and services. Video File Max. 10 MB. 45 Sec. AVI 3D Rotation View, Conceptual Video, Short Feature or Advertisement of the Product or Service. If Service, could also include testimonials. 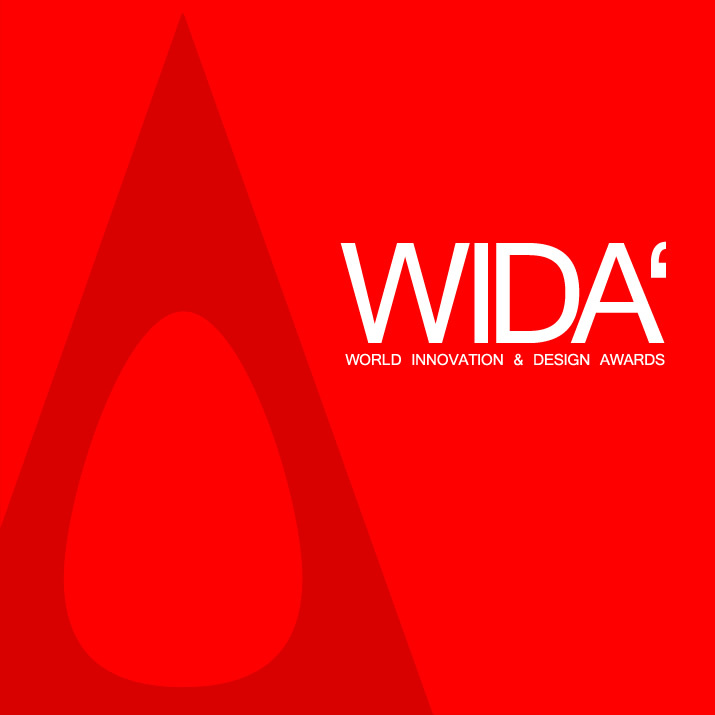 WIDA - The World Innovation & Design Awards, is a major design award category part of A' Design Awards & Competitions. Enter your most innovative designs for fame, prestige, publicity, credibility and international recognition.